As we informed earlier, an important international exhibition and conference Future Forces 2014 was held in Prague in October 2014. 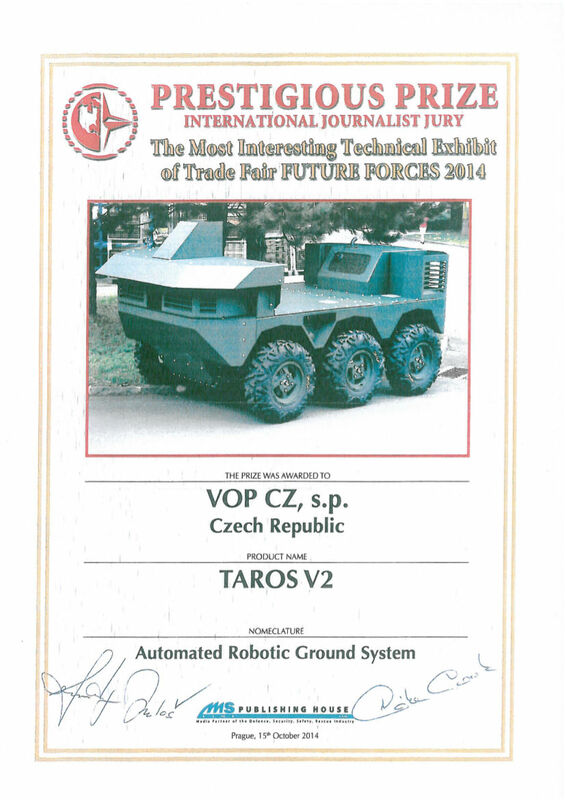 The international jurnalists jury awarded The most interesting technical exhibit and Gold Future Forces 2014 prizes to project TAROS. 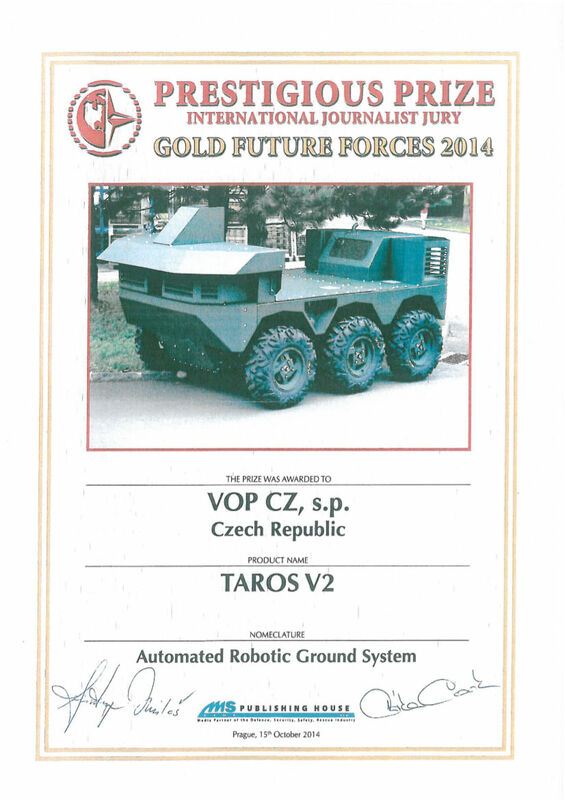 Our Intelligent and mobile robotics research group takes part in the project (see the details). 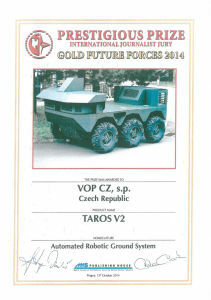 Congratulations for the awards and for the successfull cooperation!